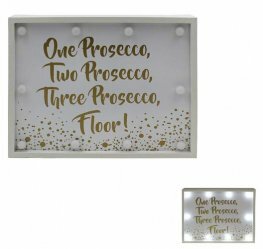 Celebrate in style with the help of Go International! 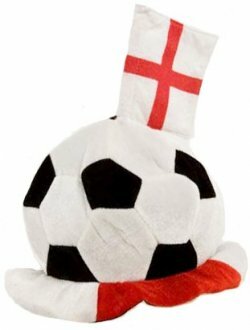 Choose from a wide range of England themed hats, flags, accessories and more to make your ST Georges celebrations and world cup go out with a bang. 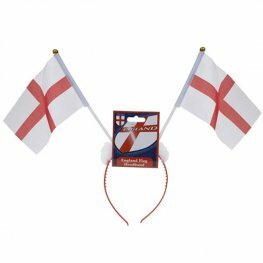 Whether you are looking for a first class flag to subtly celebrate or you want to go all out with a light up England flag, England headband and complimentary flag face paints, we have everything you need. 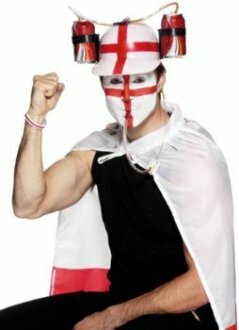 Show your support with a selection of cool accessories, including England car noses, party glasses and sunglasses, power bracelets, glitter body parts and even a wacky England supporter’s wig! 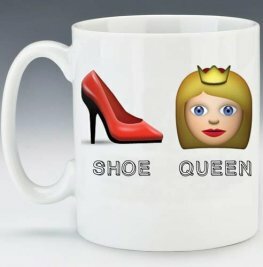 With gifts and accessories suitable for all ages. 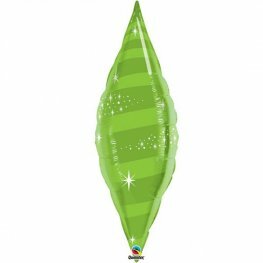 Go International provide a huge choice of costumes, accessories, party gifts, decorations and everything else you might need to put on an unforgettable party at any time of year. 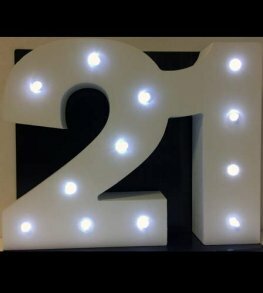 Plus as we offer free delivery on orders over £125, if you’re going all out on a planned party, we’ve got you covered! 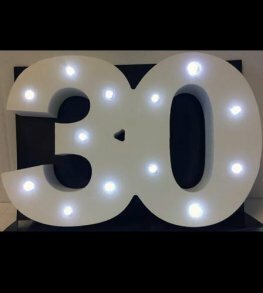 With a number of seasonal gifts and costumes as well as birthday gifts and balloons to suit all ages, Go International is your one stop shop for events and celebrations throughout the year. 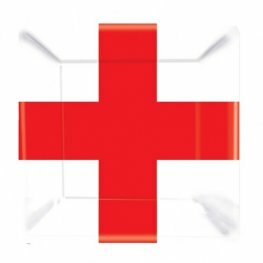 Amscan Red And White England Party Paper Plates Each Plate Is 26.6cm x8 Plates Per Pack. 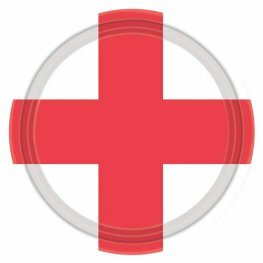 Red And White England Paper Party Plates. 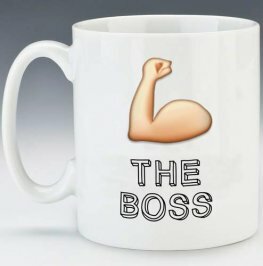 These Wholesale Paper Plates Are 23cm With 8 Plates Per Pack. 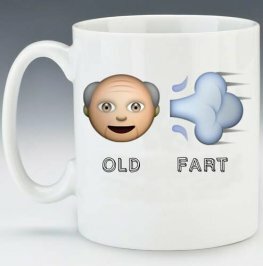 Perfect For Any World Cup Parties. 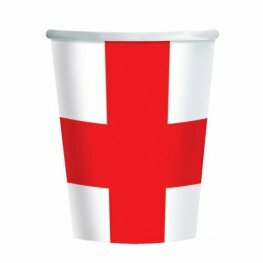 Amscan Red And White England Party Paper Cups Each Cups Holds 266ml x8 Cups Per Pack. 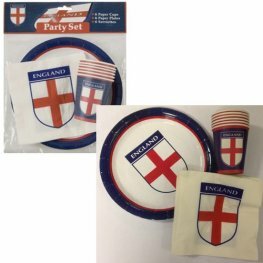 Get Your Friends Round And Party With This England 18pc Party Set. 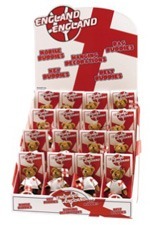 This England Party Set Includes 6 Paper Cups, 6 Paper Plates And 6 Napkins. 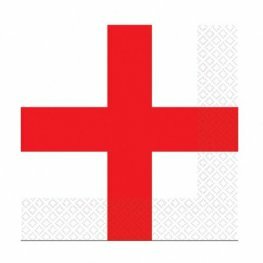 Red And White England St George Headband Flags.